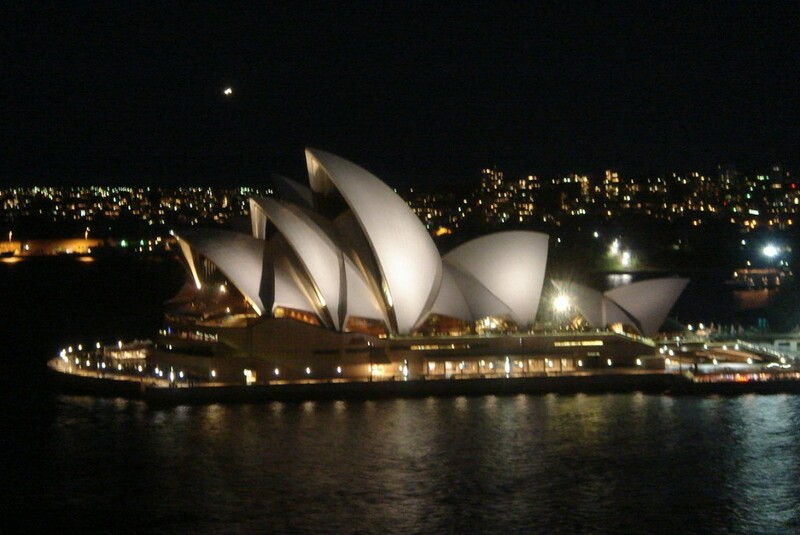 After three and a half years away, I finally arrived in Sydney for my first long, overdue trip home. It’s always wonderful to come back, to the place of your childhood. Sydney has changed a little since I was last here, but it still has that same old familiar feel, that feeling of ‘home’. Coming back has been a moment that I’ve been looking forward to for sometime, and I’ve been counting down the days ever since my trip began in Indonesia, gradually feeling my sense of excitement growing and growing. There’s something quite extraordinarily wonderful when you’ve not seen your family for a while and you are due to meet up for the very first time after a long absence. That first meal together is of course always particularly exciting for there is no better way to bond than to eat – to catch up over a pleasurable pastime. We’d chosen Mr Chow’s Peking Restaurant, a Chinese restaurant offering three different styles of Chinese cooking from three different regions: Peking, Canton and Sichuan (Szechuan). 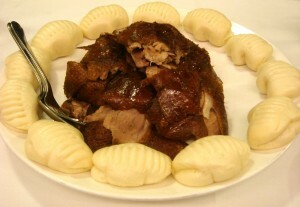 Its specialty is a derivation of the ever-popular Peking duck: a (jasmine) tea-smoked duck ($58). 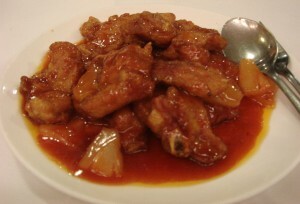 It is cooked with a special secret technique that causes the fat to dissipate, thus leaving it with no fat, but allegedly with no alteration to the flavour. I have to admit that I am someone who is always seduced by the signature dish of a restaurant. Hopelessly drawn to the idea that it’s the best dish that the house has to offer, I would never want to lament passing up the chance to try the best. Unlike typical Peking duck, where you are served only the skin first and the meat second, the tea-smoked duck at Mr Chow’s was served with all the meat at once, and accompanied by steamed buns rather than thin pancakes. However it still came with the mandatory hoisin sauce and vegetable slivers of cucumber and spring onions. A delicate smoky-tea flavour permeated the meat, and as promised, the duck came with (virtually) no fat. However, unlike the typical variation, the meat although tender proved a little dry, no doubt as a consequence of the lack of fat. An experimentation point was thus proved – that fat helps improve taste. No wonder the French cook with glorious duck fat. We stayed with the Pekinese theme for the rest of the evening, choosing another house specialty, the crab meat in egg white ($19.80), and also the Peking-style spare ribs ($25.80). The crab meat was wonderfully fresh and juicy, and the delicacy of the egg white in a gentle white sauce combined superbly with the subtlety of the crab. The boneless ribs were meltingly tender, although ironically quite fatty. Deep fried and submerged in a sweet sauce, it was delicious, although the flavour lacked the punch packed by some of the dim sum versions that you can get in Sydney’s Chinatown restaurants. Those have a thicker and crispier batter around the meat, giving them a crunchier outer coating, and they come with a sauce which is usually thicker and more caramelised, producing a stickier, more intense flavour. Mr Chow’s Peking Restaurant has that standard look and feel of a typical Chinese restaurant with standard Chinese touches and the ever mandatory fish tank on display that is common in Chinese restaurants in Sydney. However, Mr Chow’s, being situated in a more upper-end of town, in the Rocks area of Sydney and not Chinatown, it is furnished slightly more comfortably. It has a slicker, more polished look, with wider set tables and more spacing in between. Its mood was relaxed and the quieter noise levels easily allowed for those catch-up conversations with family. The service was also friendly and came with a smile, something occasionally difficult to find in Chinatown! I enjoyed my first night back in Sydney at Mr Chow’s, especially for the million miles an hour conversation between my chatterbox sister and I. The food was of quality sourcing and tasty. There was also plenty of variety on the menu to keep any discerning palate occupied. But despite all this, at its pricing levels, no doubt in part to reflect its locale, Mr Chow’s just didn’t quite wow.